It is noted that Freemasonry is a progressive science, attainable only by degrees. Through those degrees “students” of Freemasonry obtain knowledge and this pursuit of knowledge ties Freemasonry to those pursuits found in the halls of academia. Owing to this, it is not at all uncommon to find Freemasons in posts at Universities. 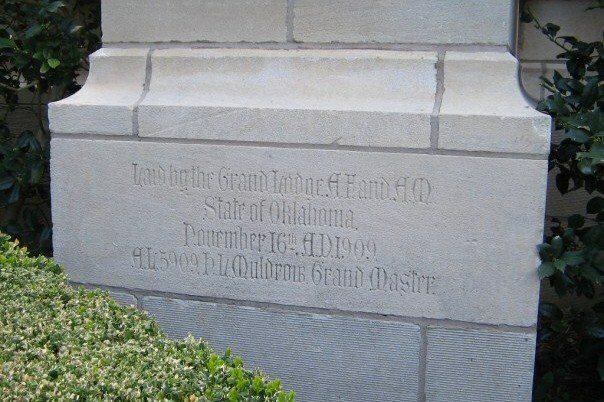 One such school where the work of Freemasons commenced on day one and the signs are still evident is the University of Oklahoma. 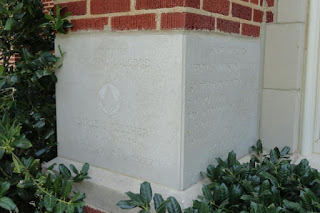 While these men’s time on Earth was finite, several buildings on campus erected during their lives still bear the marks of Freemasonry in the form of cornerstones. In 1909 construction began on what was then known as Administration Hall. The building, which would replace the burned University Hall, would go on to be named Evans Hall for second university president Arthur Grant Evans. The construction of the new building became a personal project of his, with every detail gaining his seal of approval. 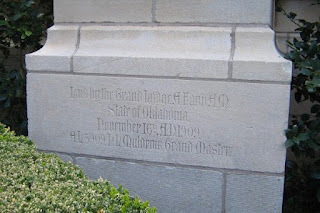 [xiii] On November 16, 1909, the newly consolidated Most Worshipful Grand Lodge of the State of Oklahoma assembled to lay the cornerstone of the new edifice. 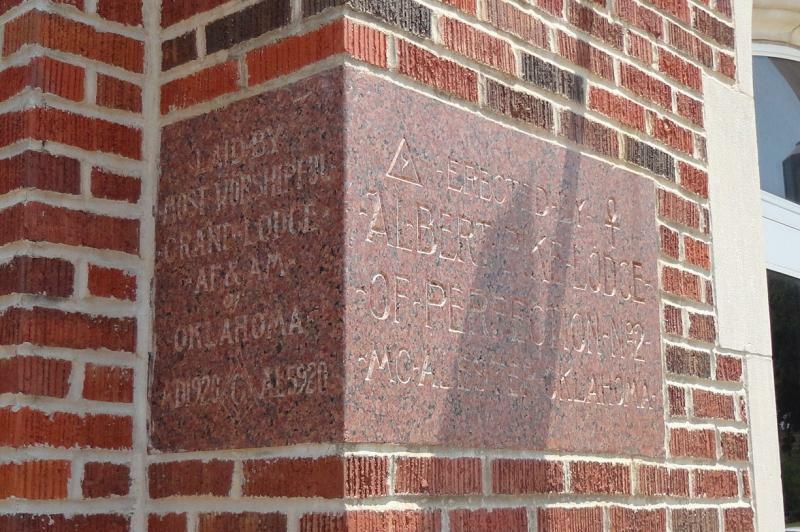 The Twenties saw a variety of Masonic construction projects commence in Oklahoma, one of those was Albert Pike Hall. 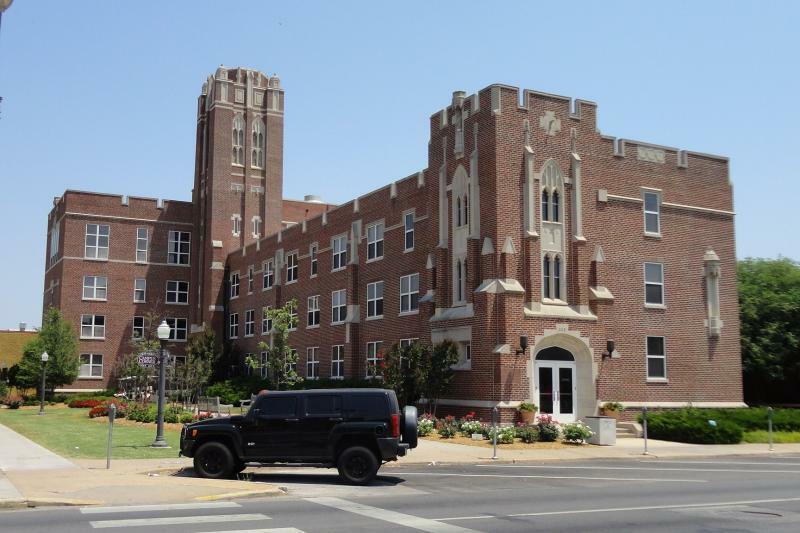 The building was erected by the McAlester Valley of the Ancient and Accepted Scottish Rite with a healthy contribution from the Masonic Charity Foundation of Oklahoma. [xiv] The building originally served as a dormitory for those male students with Masonic affiliation including the Acacia social fraternity. 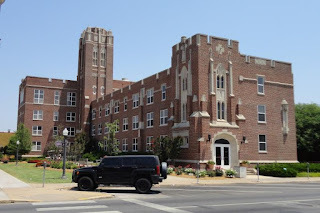 [xv] Albert Pike Hall was sold to the University of Oklahoma in 1946 and renamed Whitehand Hall for Captain Robert H. Whitehand, a playwright and professor of drama. [xvi] The vestiges of Scottish Rite Masonry remain upon the structure today, though it now serves as faculty offices. Completed in 1928 and originally named Hygeia Hall, what is today Ellison Hall served as the first university infirmary. The building was renamed in the 1930s for Dr. Gayfree Ellison, first Director of Student Health. Housed inside were examination and treatment rooms, hospital rooms, and surgery rooms. The School of Arts and Sciences has called Ellison Hall home since 2004. [xvii] The cornerstone laid by Grand Master Flesher can be found on the building’s west face. Today many college men are seeking out the brotherhood of Freemasonry. The Masonic Fraternity of Oklahoma still actively supports higher education. 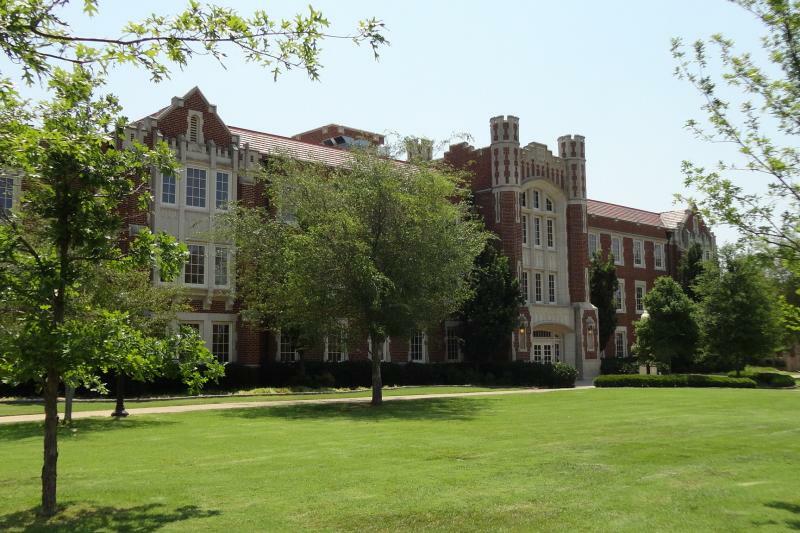 Most recently a gift was presented to the University of Oklahoma, Division of Student Affairs in the amount of $250,000. [xviii] Through the work of Freemasons, students, and professors, the legacy of such pioneers as David Ross Boyd and his original faculty lives on. [i] “Oklahoma Territory,” Oklahoma Historical Society’s Encyclopedia of Oklahoma History and Culture, <http://digital.library.okstate.edu/encyclopedia/entries/o/ok085.html>, Accessed 28 July 2013. [ii] David W. Levy, The University of Oklahoma: A History (Norman: University of Oklahoma Press, 2005), 14-16. [v] “Boyd, David Ross,” Oklahoma Historical Society’s Encyclopedia of Oklahoma History and Culture, <http://digital.library.okstate.edu/encyclopedia/entries/B/BO030.html>, Accessed 28 July 2013. [vi] Robert G. Davis and James T. Tresner II, Indians, Cowboys, Cornerstones, and Charities: A Centennial Celebration of Freemasonry in Oklahoma (Guthrie: The Most Worshipful Grand Lodge of the State of Oklahoma Library and Museum, 2009). [vii] Carol J. Burr, “Welcome to Boyd House,” Sooner Magazine, Fall 2006. [ix] "Former Dean Profile: Edwin C. DeBarr," The University of Oklahoma College of Pharmacy, <http://pharmacy.ouhsc.edu/about/history/deans/debarr.asp>, Accessed 28 July 2013. [x] Grand Commandery of Knights Templar of Oklahoma, Proceedings of the 7th Annual Conclave (Oklahoma: 1902). [xi] “James Shannon Buchanan,” The Chronicles of Oklahoma 8 (September 1930): 353. [xii] Norman Lodge No. 5 AF&AM, Tyler’s Register, 1898 – 1901, Private Collection, Norman Lodge No. 38, Norman, Oklahoma. [xiv] Charles Evans, “Henry Lowndes Muldrow,” The Chronicles of Oklahoma 29 (January 1951): 397. 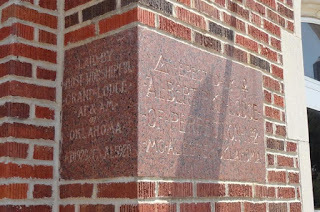 [xv] Robert G. Davis and Frank A. Derr, 100 Years of Scottish Rite Masonry in the Valley of Guthrie (Oklahoma: Guthrie Valley AASR), 99-100. [xvi] James T. Tresner II, “A Monumental Life: An Incomplete Article,” The Scottish Rite Journal (June 2003). [xvii] “Ellison Hall Rededication,” The University of Oklahoma College of Arts and Sciences, <http://cas.ou.edu/ellison-hall-rededication>, Accessed 30 July 2013. 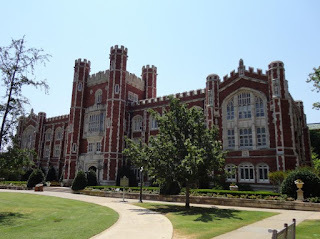 [xviii] “OU Receives $250,000 Gift for Leaders Summit From Masonic Charity Foundation of Oklahoma,” University of Oklahoma Public Affairs, <https://www.ou.edu/content/publicaffairs/archives/LeadersSummitGift.html>, Accessed 30 July 2013.